Moko is an N9 app explorer which presents you with the newest apps for your N9. Using Moko you can try apps and share them with your friends. 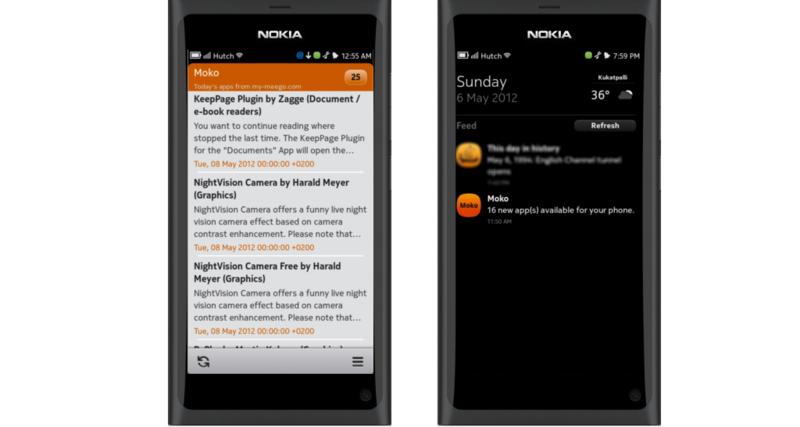 Moko is well integrated with N9 events page where you can see any new apps are available for your N9. You can get the source code from here.